If there is one band I really can’t stand, it’s The Police (though I will say Stewart Copeland is a sick drummer). Sting’s vocals I find beyond annoying and the amount that they rip-off Bob Marley riffs is staggering, but all to many popular bands with bad vocals and c/p-ed riffs to verbatim exist and they don’t annoy me as much as The Police. What really irks me about the band is underneath all of the crap I can’t stand, exist some wonderfully well written songs that have massive potential if only the obscuring rust were to be scraped away. So in turn, when a band does a cover of a Police song, I usually end up enjoying it immensely, cause ya know, good songwriting and all. Which brings me to my #4 favorite cover song, “Message in a Bottle”. Robb Flynn and Co. simply just rock this song hard. Doing away with all the fluff, Machine Head bring “Message in a Bottle” to its core and the impact the song has is infinitely more powerful and meaningful. A song about desperation and need of help just doesn’t work with an upbeat light rock feel, but when you metal it up some the whole of the tune hits like a well-directed punch to the gut. I particularly enjoy that dreamy echo on the low-key guitars in the intro and how well the song just explodes into an outburst of emotion when the pre-chorus hits. Some damn fine cover work. Check it out! Enjoy!! Peace Love and Metal!!!! This isn’t the first or the last cover from Machine Head on this list of favorite covers. 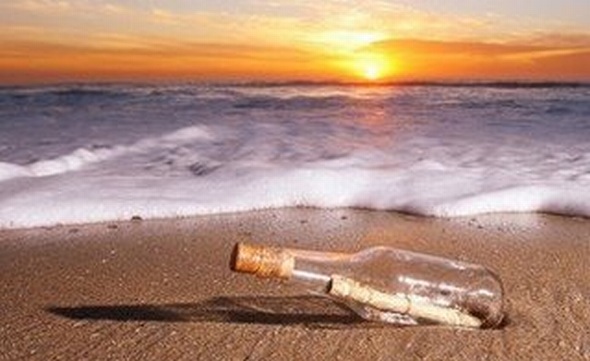 Message in a Bottle was originally recorded by The Police in 1979 and can be found on their album Regatta de Blanc. Though not a huge commercial success in the States, it was a number one hit in the UK. As a child I found it difficult to get into music from The Police, but as an adult I have a much deeper appreciation for them. This song has been covered numerous times by all styles of artists, but the one found on an album called The Burning Red is the one I am talking about today. Machine Head has developed a knack for making great cover songs. Despite the greatness of this particular cover, it comes off the most criticized album of Machine Head’s career which also happened to be their biggest selling album at the time. Due to a number of factors, including their style shift, Machine Head was released from their label after their next album, Supercharger. Needless to say, they came back from that full-force! Message in a Bottle is a great cover song in which Machine Head certainly injects their spin on a classic song. Here is the 1999 version found on the album, The Burning Red. Here is the original recording by The Police.